This one got a few strange looks at work. One even asked "how one would even come up with this." The truth is, as you will see on Look Four, that I took a pile of patterended clothes out of the closet and it just so happend when they were lying there next to each other I noticed that the mix shockingly worked well together. Who knew? This day it was snowing like mad outside so we took shelter for pictures under the train tracks! 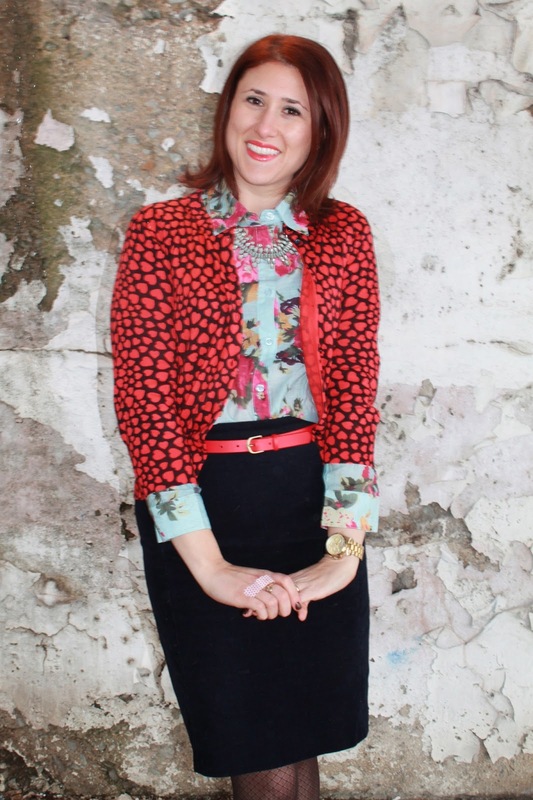 Dont forget, if you want to be featured on HOTPINKstyle in your mixed pattern outfit, email a pic or link my way by Thursday! 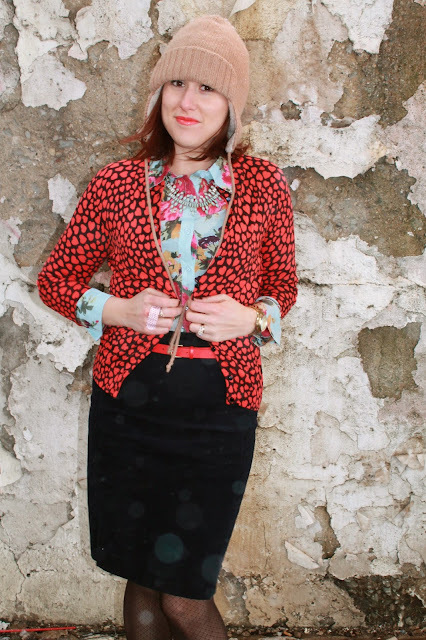 I love that heart blouse! You totally nailed the pattern mixing! Love the floral top and that heart cardi. You look so adorable! 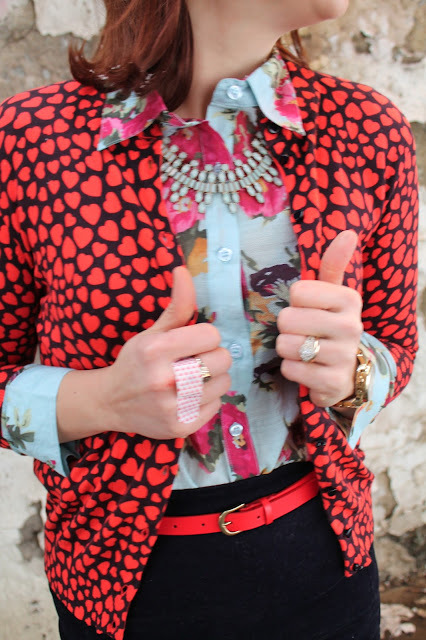 This is one hell of a pattern mixing combo! But it does work! Who woulda thought. I like how you work: pile on bed = mixing genius. And that peeling wall is actually a beautiful background!